Whether replacing broken garage door springs, or installing fifty overhead doors on a loading dock, Genie Overhead Doors is the right choice for your business. We are ready to install your commercial / industrial garage doors. 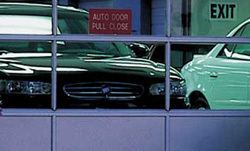 Are you curious about the types of commercial garage doors we offer? Would you like to know which would work best for your business needs? We have experience installing many different types of commercial overhead doors in various commercial, industrial and governmental facilities. From showrooms to loading docks, we have the overhead doors you need. 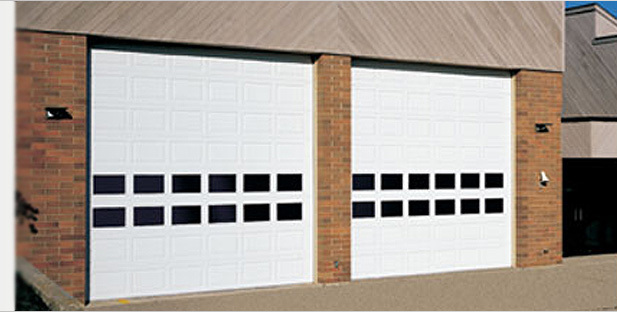 Click below to see some examples of the garage / overhead doors we sell.